Posted September 12, 2016 by Guest Writer & filed under Exclusives. Doctor Who star Colin Baker is the narrator of heart-warming new coming-of-age movie A Dozen Summers. The independent film stars a wealth of young talent and tells us what it’s really like to grow up in the 21st Century. Get ready to enter the world of Maisie and Daisy McCormack, twin sisters who have just hijacked a children’s film in order to tell their own story. 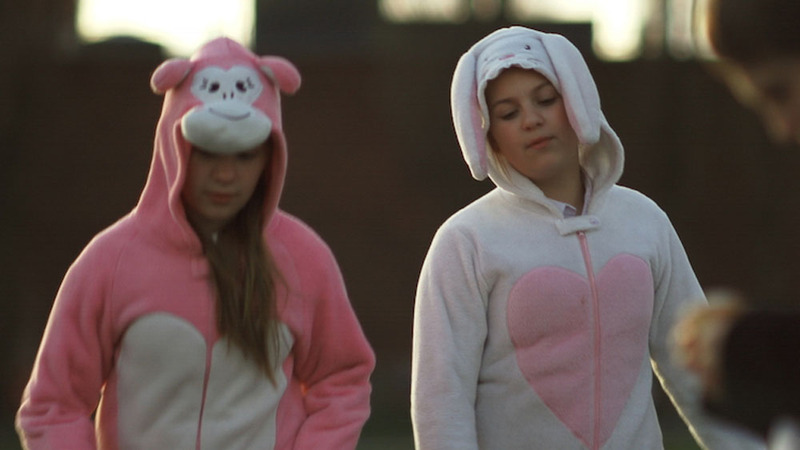 In the process they address issues faced by all twelve year olds such as family, friends, bullying and school life. Buy A Dozen Summers on DVD on Amazon here. Colin, you play the narrator in A Dozen Summers, but this is no ordinary narrator is it? “No, it’s a rather charming little film. I get asked to do a lot of these because a lot of young film-makers try to, you know, carve a career in this very difficult business and a lot of them have the idea, if they get someone familiar to the viewer in it, they might have a wider market which is a very good idea. “And when I saw this one – and I knew the auteur, so to speak, the writer, director, producer – he sent it to me and I thought, now that’s rather charming and also it was a narrator so I didn’t have to learn it which is always a distinct advantage and the script pleased me so I turned up and did the voiceover which is all I did and I saw what the girls had done – I didn’t come to the filming obviously so I was in the studio but I saw what they had recorded and it’s actually come together really well. “And when I watched the film I was delighted to be a part of it because it is a rather charming understated piece about what it was like to be 12 or 16 – even though those two particular girls are quite different to my daughters when they were 12. How did it compare to when you were 12? “Oh heavens, it is a different world. We would no more speak to someone making a film when I was 12 and we certainly wouldn’t call them a perv like in the film. We would run in the opposite direction. No, no, it was a very different world than in the 1950s when I was 12. The film focuses on bullying. Was that an issue when you were that age? Were you ever bullied? “I was the victim, yeah – because my parents came from London and so they spoke with southern accents, as did I and at five I went to school in Rochdale and they all spoke with northern accents. What must that have been like for you? I mean, nowadays when children are bullied social services get involved, the school gets involved – I presume you just had to get on with it? “Yes, my father said hit them back, which was all very well if you’re of a similar size and ability but if I’d hit them back they’d have pulverised me, so I just had to apologise for hurting their face and get on with my life. Has that affected you, do you think? “If I’m honest – when I was 14 or 15, I became the bully. The bullied became the bully. But I wasn’t a very good bully, in fact my career as a bully was very short-lived. There was a boy, about my age, and one day I threw his cap into the bushes. You’ve done a fair few audio jobs in your career – some excellent TV of course – and a substantial amount of theatre. They’re all such different skills, aren’t they? Which do you think is your most natural medium? “I wouldn’t say I have a natural medium. I was weaned on the theatre, but then I got into TV quite quickly. At the end of the 60s, you had to have specific training really. “Film cameras look deep into your soul. If you’re telling lies, the camera can tell. On stage, in a 2,000 seater, you can act big. These are things you pick up as you go. I think probably I am equally happy doing any of them and obviously in my dotage, as I am now, not having to learn the lines is a boom that I cherish. “I’ve done 90 odd episodes of Big Finish and that’s a delight because in audio I look the same as I always did, and my voice is similar enough to get away with it. 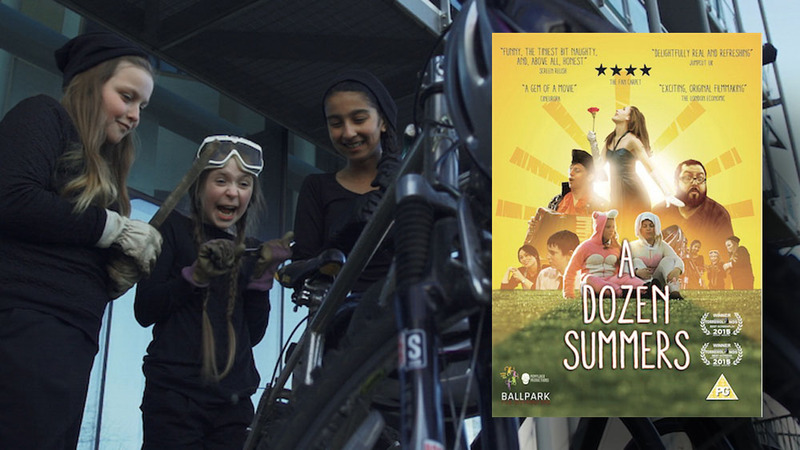 A Dozen Summers is out now on DVD. Watched this charming and inventive no-budget indie film over the weekend. Imagine Grange Hill but with a lot more laughs and you’re not far off. Yes it has some serious issues to address, like bullying and parental separation, but the emphasis is very much on the relationship between the sisters, and with their upbeat father. A feelgood film that left this viewer with a huge smile on his face. 8/10.